For the Changing Chicago documentary project in the late 1980s, Jay Boersma photographed in the city's southern suburbs, concentrating on the area's buildings, signage and other details on the street. Boersma writes, "The specific subjects I photograph are those in transition, generally from some successful commercial use to neglected disuse. The result is an admittedly subjective view of the area a portfolio that romanticizes the mundane while creating a landscape of loss and failure." 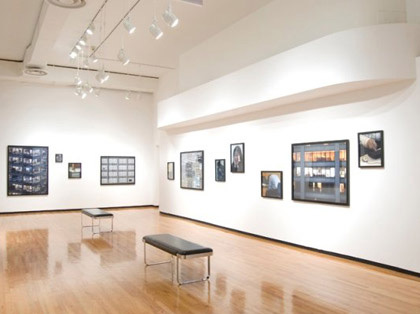 Boersma completed a BA in photography at Columbia College Chicago (1974) and an MFA in photography at the Rhode Island School of Design (1976). He taught at Governors State University, outside of Chicago, for fifteen years, before leaving teaching in 1996 to work as the creative director for a large entertainment website.